Whatever search term you plug into YouTube, you’ll be shown hundreds and sometimes thousands of videos. Naturally, we are inclined to watch the video that is ranked number one most of the time. The fact that we do helps that video to stay at top spot. Why? Well, one of, if the not THE most important factor when it comes to ranking, is the Click Through Ratio (CTR) of your video. Put simply, if more folk are clicking on the video, then that is sending a message to YouTube that the video is of value. In turn, Youtube will reward this video with a ranking. Click To TweetCTR isn’t the only factor that aids in ranking though. We also have watch time, retention rate (how long the person stays on your video) and engagement (likes, comments and subscribes). Get all these down, at least more than your competitors, and you win. Fail, and you lose. Simple! When you enter a search term into Youtube and see the results, how do you decide what to watch? If you are like 99.9% of other homo sapiens, then Titles and Thumbnails. People are attracted to the image (thumbnail) and the title of the video. Get these two right and you have every chance of getting the desired result. So as this post is all about YouTube thumbnails, let’s get cracking. 0.1.1 What exactly is a Thumbnail? 0.2 What happens if you do not make a Thumbnail? Thumbnails play a huge role in what viewers decide to click on. 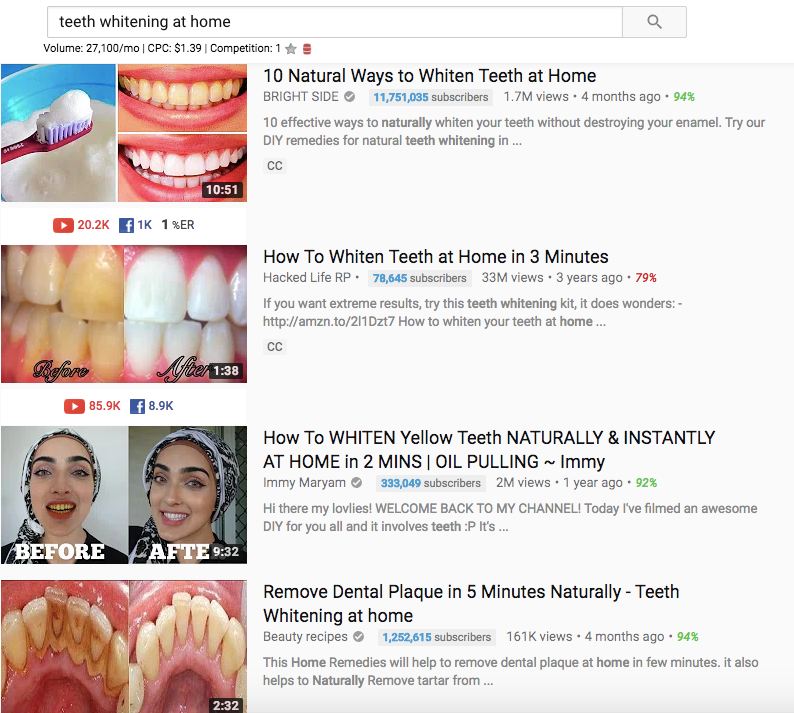 Viewers click on thumbnails that feel relevant to their search as well as those that stand out from the crowd. 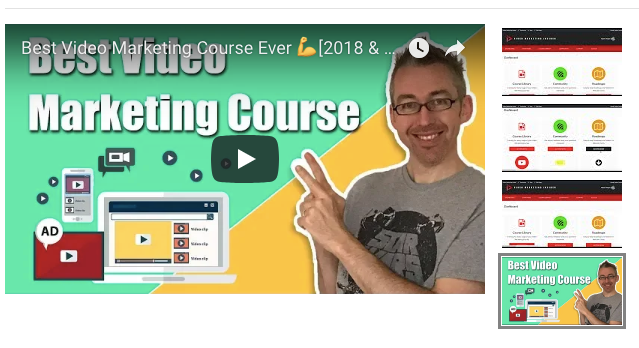 And as a content creator, you need to be constantly testing and tweaking various thumbnail designs in order to drive and compel viewers to click on your videos. Your task, when it comes to creating YouTube thumbnails, is to make something that does this, while also maintaining your own unique style. Let’s start from the beginning though. What exactly is a Thumbnail? YouTube thumbnails are the small clickable images that a viewer clicks on to look at videos. Now, from the above you can decide which one ‘you’ are more likely to click on. Some thumbnails use text, others gross images for shock attention grabbing, and others different techniques. The attractiveness of your thumbnail along with the title will be the main determining factor as to whether your video gets the click. A great thumbnail can make up for a lower ranking, and, over time, actually force your video up the search engine because it will ‘force’ more people to click on it. So, while people are supposedly watching a video, they may also be scrolling down the right hand side (suggested videos area). If your video is there, and has an amazing thumbnail and title, you may well be able to ‘steal the click’. A ton of Youtube’s traffic comes from the suggested videos on the right hand side. What happens if you do not make a Thumbnail? If you are lazy and cannot be bothered to make a custom thumbnail, what happens? Whenever you upload a video to Youtube, you will find that 3 still shots are chosen at random like in the image below (look to the right side of the image). The three images in the above picture are all still shots from my video, but look plain and hardly rouse excitement. If I were lazy, I could do nothing and one of those three images would be used as my thumbnail by default. This saves time but my video would not stand out from the crowd at all. By adding a custom thumbnail, I am able to at least make the video appear better and potentially get more clicks (even with my anti-model looks). If you want to make a Custom Thumbnail for your YouTube videos, then you’ll need a tool to proceed. Now if you are competent with photoshop, all good, but it’s not always necessary to pay for a software in order to make a decent image. One free tool that we recommend is Canva.com. This is a web-based software that allows you to create images for all your social media needs, including YouTube thumbnails. Canva does have a library of free (and paid) images that you can use but the aforementioned sites will give you more than enough to use. Simply upload them to Canva, then drag and drop to design your thumbnail. You can of course just outsource the creation of your thumbnails to someone on a website like Fiverr. If you do, make sure to choose someone wisely after reading the reviews and provide them with all the information they need to proceed. For example, provide a few shots of yourself, your logo plus give guidelines of the video topic and the colouring required. Once you find a good designer, you’ll be able to use them over and over again. When you upload a new video to YouTube, you will see a Custom thumbnail option under Video thumbnails after your upload is complete. Click on that and choose your thumbnail from your computer. If you want to add a custom thumbnail to a video that has already been uploaded, that’s easy too. Go to your Video Manager in the Creator Studio. Find the video you want to change the thumbnail for and click Edit next to it. Click Custom thumbnail on the right of the preview screen. Upload your thumbnail and click Save changes. Regarding the image size, you’ll need to use a .JPG, .GIF, .BMP, or .PNG image with an aspect ratio of 16:9 and your file size has to be under 2MB. YouTube recommends that thumbnail images have a resolution of 1289x720px, and you cannot upload an image with a width of less than 640 pixels. Make sure that all of your thumbnails follow YouTube’s Community guidelines. In other words, use common sense. For a bit of added SEO, you can add your keywords to the Meta Data of your image prior to uploading. Being clickbaity can get you views, but it can also be very annoying if the thumbnail is not congruent with the video. 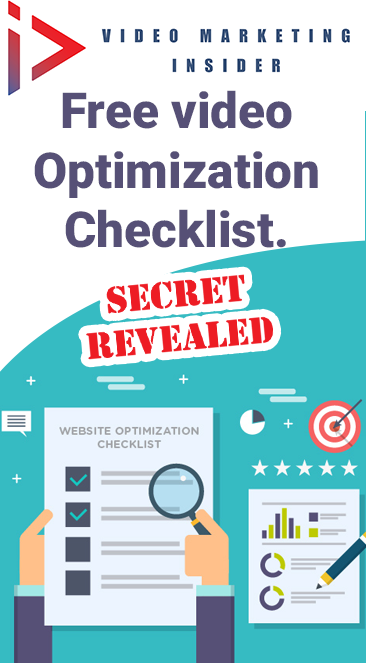 Even if you manage to get some clicks by being overly hyped, you’ll end up with a low retention rate as people will not actually watch much of the video once they realize what you pulled. This will adversely affect your ranking so it’s not worth it. Be honest in your thumbnails as well as catching the eye. If your video is a product review, show the product in the thumbnail and maybe even write ‘review’ on it. If your video is a teeth whitening video , show your before and after gnashers. Where possible, really try to use similar fonts, colours, backgrounds etc. Especially if you are creating playlists (groups of videos that have a similar topic). Let’s say you are in the weight loss niche. You could have one similar set of thumbnails for your ‘weight loss for kids’ videos, another for your ‘weight loss for men over 40’ videos and so on. Creating repeated patterns in your thumbnail design helps as the human eye is drawn to patterns. 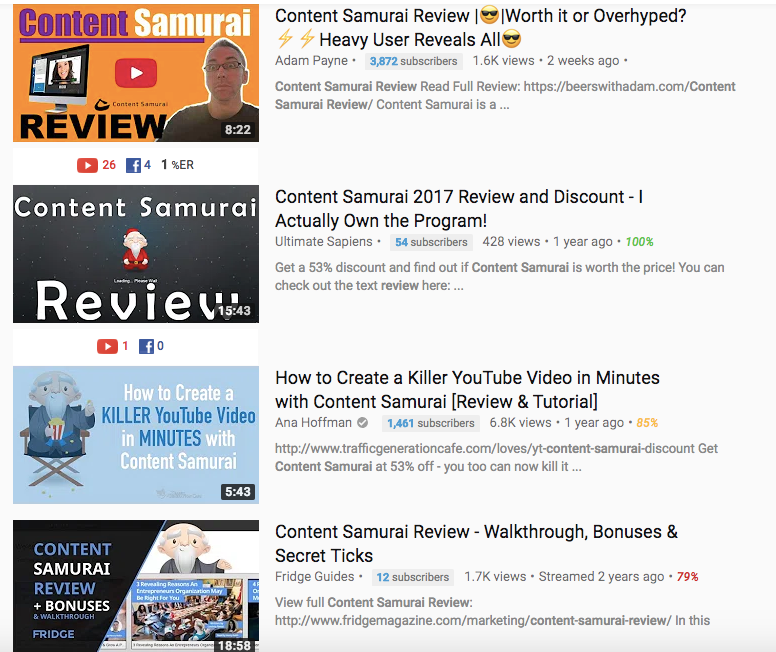 When you create a complete thumbnail design that you repeat over multiple thumbnails and those show up together in suggested videos or the search location on YouTube, they’re going to stand out. So incorporate and leverage the same colors and fonts again and again. Even though you may be no supermodel, people are subscribing because of the value, education and/or entertainment value you bring. Sure they may be keen on dog training or survival, but there are other channels they could be watching and they are subscribed to you for a reason. They are attracted to your personality and your sense of humor. So do not be shy about putting yourself in the thumbnail. Of course you do not have to do this, but it’s not something you need to avoid either. Some of the best thumbnails include a close up of a face (preferably yours if you are the brand). Face pulling is fine and we recommend a transparent .PNG image. For the best results, we advocate close ups, and a variety of differing facial expressions. Some for fun, others more serious. One tendency many folk have is to try and cram too much text onto the thumbnail. You have to remember that when your thumbnail is on Youtube, it’ll be much smaller than when you are creating it. The text needs to be large, readable and make sense. You do not need the whole phrase. Viewers don’t ‘read’ thumbnails on YouTube. Viewers comprehend. They ‘understand’ what the image is about. All the above videos are about the same topic, but the bottom two are too ‘text full’. There is a lot going on and potential viewers will not read the whole thing. Text is good, just use it wisely. 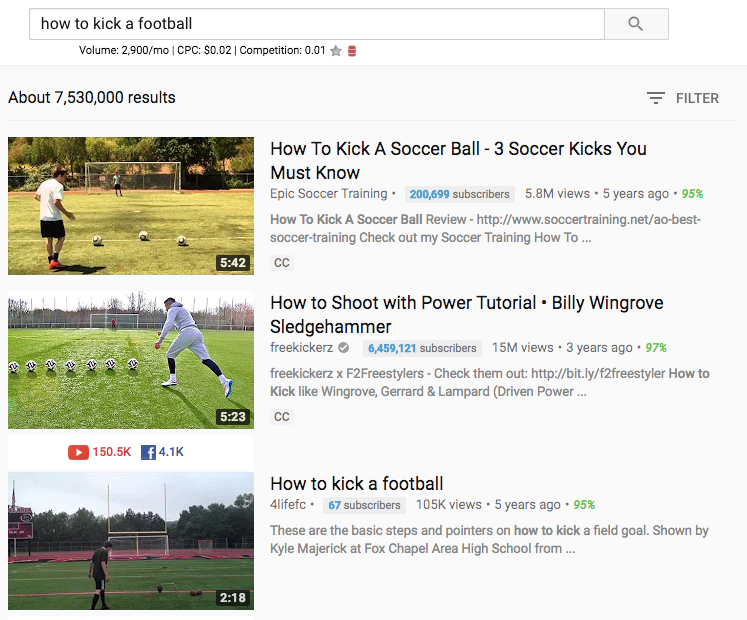 Type your video’s title or topic into the search engine on YouTube and look at the thumbnails for the videos that come up. These are your competition. You want to make a thumbnail that is similar enough to what comes up that viewers know it’s on the same topic, but different enough that it stands out. Generally, if most of the thumbnails have the same layout, you’ll not want to stray too far but still add your own unique personality. 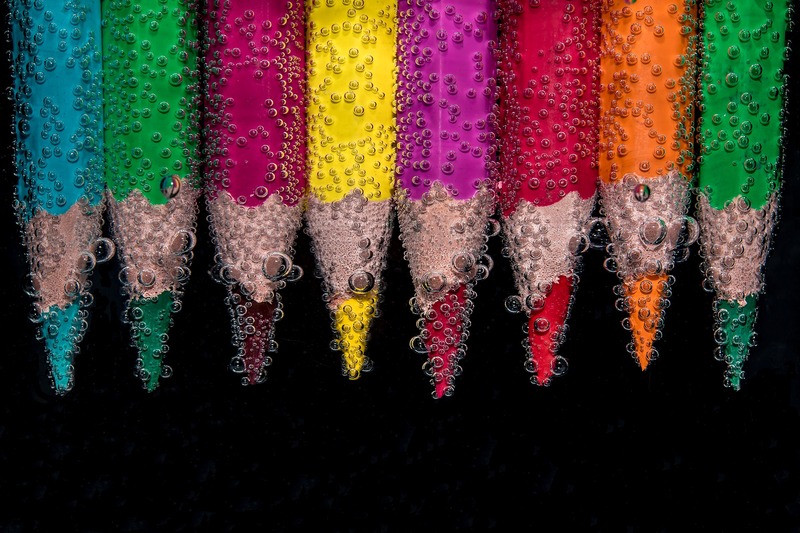 Avoid soft pastel colours and go for bright and saturated colours. Simple! And if you can, avoid YouTube colours such as Red, white and black as these can often blend in and not stand out (just as it is not advisable to use Blue when advertising on Facebook). Green, Yellow, Brown are all great colours to use. 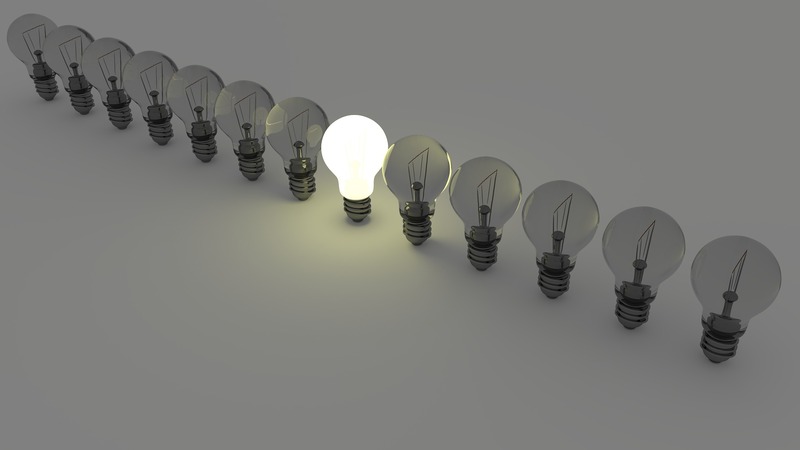 So long as they are bright and stand out. Even Youtube has said that a thumbnail that stands out will help you get a better click through ratio. So do just that! Diagonal lines win over straight ones . If you look at some of the best thumbnails out there, few have basic square borders. The best ones incorporate a kind of diagonal line to separate the elements. If you have one, add your logo to your thumbnails. This only adds to the consistency and that’s a good thing. Look at the titles from video #1 and #3 from the above example. Number three is boring and bland. It may have the keyword in the title, but that’s all. Number 1 has the keyword PLUS the phrase ‘3 soccer kicks you must know’. This invokes curiosity. What are these 3 kicks? Better watch the video to find out. So, that just about wraps up this Video Marketing Insider post on YouTube thumbnails. Great post! Excellent write-up Adam. Thanks Krish. Glad you liked it. So many great tips. All clearly explained and backed up with solid reasons why we should take your very knowledgable advice. Many thanks! Yep. It’ won’t make a huge difference but every little helps. Just do not over do it and make sure the meta data is congruent with the topic. Cheers. 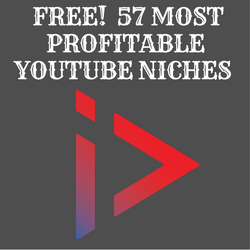 I learned everything I know about YouTube thumbnails from Adam Payne, included in a PAID COURSE. Cheers Chris. Glad you liked this post man. Pretty much all the bases are covered in this post. Great post as usual, Adam. Is there any evidence re adding metadata to image files? YouTube admit they pay attention to meta data. So, by adding them to thumbnails, while not making a massive difference, is one extra way to get your KWs in there. It’s not make or break and is something that is part habit, at least for me. Thanks Dale. Glad you liked it. Diagnal lines, bright colors, big text (but not cluttered), pic of product/ your face are what really stood out. If course, you need a catchy headline. I will be implementing these tips. Glad you liked the post Jermaine. Many thanks. This helped me a lot Adam! Most thumbnails i make with canva cannot be edited to add to the meta data. How can i do so? Is it a difference if i use Jpeg or PNG?